Are you a spiritual blogger or thinking about becoming one? Although it hasn’t always been the case, in today’s highly digital and connected economy, becoming a successful spiritual blogger can absolutely be a viable career and vocation! I’ve written in a previous article about how powerful Spiritual Blogging is in terms of being of service, being in the cycle of learning and teaching, and how you can be using blogging as a part of your spiritual practice. Read that article here. 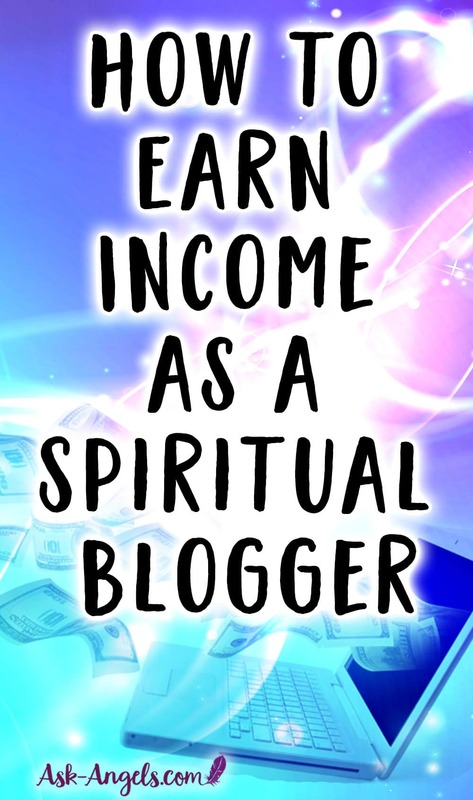 But honestly… Spiritual Blogging can be a way to make money too! Spiritual Blogging is not necessarily an easy way to make money, and it's definitely not a “get rich quick kind of thing” as it takes an immense amount of effort over time. But if you’re willing to put in the consistent time and effort required, making money with a spiritual blog is more than possible! I do want to make one thing clear though… Making money as a spiritual blogger is a byproduct of being of service, sharing your inner inspiration, passion, and wisdom with the online world. This just won’t work if your only goal is to make money… Because you’ll come across as being inauthentic, and you'll repel people in the opposite direction! But, if you blog from your heart, give real value, and be of real service to people through your blogging efforts, there is definitely money to be made! 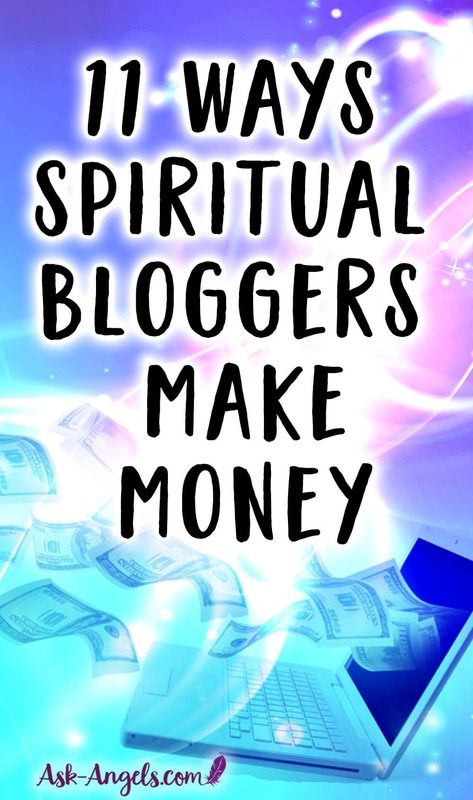 Okay, now that we got that covered, let’s talk about how you can make money as a Spiritual Blogger. Once you’ve got your blog rolling, and you’re attracting readers to your site, there are many different ways you can monetize your site to start earning income. Offering services is how I first started earning income on my site back when I offered private angel readings. What is your expertise, and can you offer it through a private 1-1 session? If so, you simply need to outline the service you’re offering, provide a payment method, and you can start booking sessions and earning income. This works best when you’re blogging about spiritual topics that are directly related to the types of services you’re offering. Give real value in your articles to prove you’re an expert, and if people resonate with you and your work, some of them will naturally want more and will book a session, reading, healing, etc. with you. Another way spiritual bloggers earn money online is through placing advertisements on their blogs. The more traffic you receive, the more advertising dollars you have the potential to generate. These are advertisements that are displayed on your site, and you get paid when visitors click on them. Usually image ads in the header, footer, or sidebar areas, PPC Ads don’t pay you unless people click on them. CPM Ads pay a fixed amount based on how many people view your ads. A view constitutes a reader being on the page in which the ad is displayed, and it doesn’t matter if they hover or click on the ad, just that the ad is displayed and “viewed”. The most popular way to place the above types of ads is using a network such as Google’s Ad Network. With the Google Ad Network you allocate a place for the ads on your site (essentially place banner ads) and then Google determines which ads display based on your content, or on the readers browsing history. You don’t choose which ads display, but you can ban entire categories or specific advertisers you don’t want to appear on your site. Private ads are when another individual or company pays you directly to place an ad on your site. You would be contacted by an advertiser interested in placing an ad on your site, or you could seek out a company as well. The price for private ads is totally negotiable, but as with all advertising the more blog traffic and readers your site receives, the more lucrative advertising will be for you. Payment methods vary from being paid a monthly fee for displaying an ad or a one time fee to include an ad in one of your posts. Sponsorship is a unique form of advertising where companies pay you to promote them in your emails, on your podcast, YouTube channel, social media or elsewhere on your site… But not necessarily through ads. Usually, sponsorships will pay on either a monthly basis… Or your payment will be per email, article or episode that the company sponsors. Sponsored posts are another type of sponsorship, where a company will pay you to post about them on your blog or even on Instagram, Facebook, etc. This is also sometimes called influencer marketing and is a way for spiritual bloggers, especially those with large followings to monetize their blogs. An alternate route of sponsorship is to receive donations from your readers and audience. Adding a PayPal donation button is a simple way to give readers the option to contribute money if they enjoy your website. Promoting affiliate links, otherwise known as affiliate marketing is another common way spiritual bloggers earn income online. Someone else has a product they want to sell, and agree to give you a percentage commission based on sales you generate from your site. You receive a unique link with an affiliate code, that tracks your site as the source of the sale. You include your affiliate link on your site, either directly in your articles, on the side bar, footer, or really, anywhere else, and if and when readers click on the ad and buy the recommended product you receive a commission. The commission you earn is typically based on a percentage of the sale generated varies greatly in how high the percentage is. The affiliate commission percentage is typically set by the affiliate program, or in some cases, you can negotiate how much you will earn per sale if working with another individual. Well-known and established affiliate programs like Amazon Associates offer a huge selection of books, angel cards, CD’s and so much more you can promote but the percentage is quite low. Digital and information products generally offer greater commission percentages as the cost of goods sold is low. If companies offer an affiliate program, you simply reach out and apply to become an affiliate, and you can then get started promoting the products or services on your site. The way most affiliate programs work is that the customer is charged the same price or even less than retail and you get a commission for the referral, so it’s a win-win. In addition to sharing offers for products and services on your blog, a common way to leverage the power of affiliate marketing is via email. Affiliate marketing works best when you recommend products that you honestly use, love and can confidently recommend. Again, authenticity and being of service is key for long term success with affiliate marketing just as it is with blogging in general. A great alternative (or addition) to selling or promoting other people’s products on your site is to create your own! Remember, once again authenticity and really being of service is key here. What value do you have you share with people? And where does this intersect with what people really want? Know your audience! What type of courses, or products are they interested in? A great way to know this is to ask! Surveying your readers before you invest time and money into making a digital product can save you the immense time and heartache that comes when you create a product that just doesn’t sell! Offer them what they’re looking for, and you’ve landed yourself right in a win-win situation. A membership program is essentially an ongoing digital product. (Though with things like subscription boxes it can sometimes involve physical products too). Through a membership program, you can sell access to exclusive access to premium content on your site. Memberships include things like ongoing video training, astrology updates, community forums and more. For example, I have a membership program called The Angel Solution where I charge $37 per month for an ongoing series of angel meditations, video training, and courses. I know of other membership programs where members gain access to a monthly conference call, astrology update, or training series. The important thing with memberships is that you’re offering exclusive valuable information that your readers cannot access free elsewhere on your site. Your membership needs to be valuable, and well worth the price for it to make sense to your audience. Selling physical products is another way you can earn income through your blog. Essentially you design the products and promote them, and then when they sell, the print on demand company will create the product and ship it to the buyer. The benefit with print on demand is that you don’t need to spend much (or any) money on up front inventory, nor do you need to worry about shipping, restocking, etc. Drop shipping is when you promote and sell someone else’s products, and then they ship them to the customer. With drop shipping, you’re not the one to deal with inventory or shipping items out. You negotiate in advance with the supplier and earn a percentage commission for products that sell. If you make unique handmade items like one of a kind crystal jewelry, handcrafted loose leaf teas, artwork, or clothing, you can absolutely sell these things on your blog. You could also source unique items like crystals, salt-lamps, incense, etc. and sell these. In the case of physical products you fulfill, you will be the one to promote, sell, and ship items. You'll need to manage your own inventory and you’ll need to collect sales tax and calculate shipping. There are sites like Etsy.com or Ebay.com that you can list your items on, and for a small percentage, they handle collecting the payment processing, tax, and shipping costs. It’s really important to keep in mind that earning income as a spiritual blogger takes time and dedication. Often, it can take months or even years of blogging before you really start seeing consistent income being generated for your site, hence this not being a get rich quick scheme by any means. And ultimately, the sites that make the most income are the ones that give the most value. I can’t reiterate enough the importance of really giving value, helping people, and developing a passionate group of readers who love you and your work. This is key to earning income online. If you can help enough people get what they want, you will surely get what you want as well. I also want to point out that not all of these methods are meant to be used at once. Especially when you’re getting started, choose a couple of monetization methods, and then test, tweak and refine your offerings to find what works for you. Check out my step-by-step guide for: How to Start a Spiritual Blog! 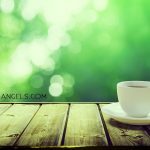 If you’d like to see more free resources for starting, building, and growing a successful spiritual blog be sure to leave a comment below! SO glad to hear this was helpful for you! Working on a huge post that will guide you step by step through setting up a new spiritual blog from scratch! … So stay tuned!